Esteban’s drum major career began in 7th grade as he began to train and compete in the original American Drum Major Competitions circuit. 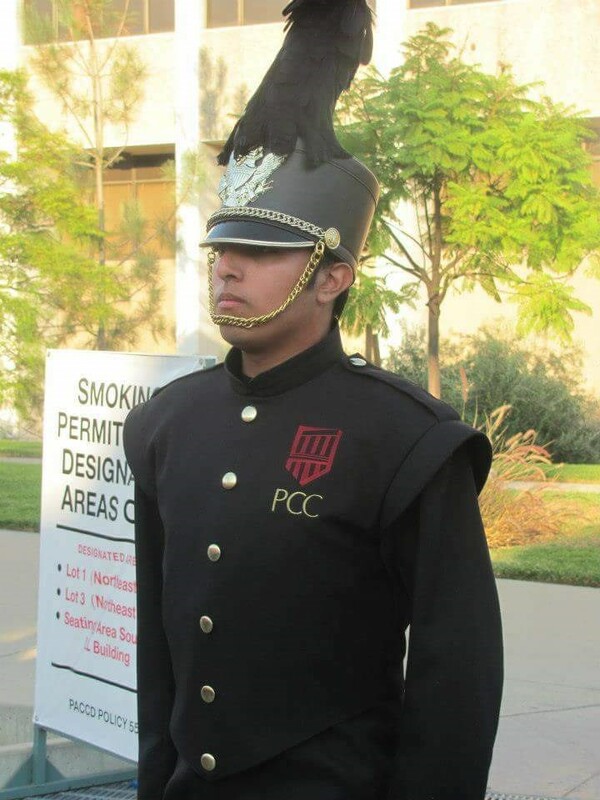 In his junior year of high school Esteban successfully petitioned the City of Montebello to found it’s own drum major program, the Montebello City Drum Major Program. The Montebello City program served to promote the drum major activity and to include members who were not eligible to be drum majors at their respective schools. In the program’s first year of operation Esteban claimed two California State Championships in both the Mace and Military Baton divisions. Esteban’s success continued through his senior year as he successfully defended both titles and claimed a number of other awards/championships at various drum major organizations. Once graduating from Montebello High School in 2009, Esteban furthered his education at Pasadena City College where he became drum major of the Lancer Marching Band and Tournament of Roses Honor Band for two years. When his stint at PCC ended, Esteban was fortunate to be added to the instructional staff where he serves today as Visual Caption Head. Esteban also instructs at all levels of the marching arts (middle school, high school, collegiate, and drum corps) and serves on visual and percussion staffs throughout Southern California. 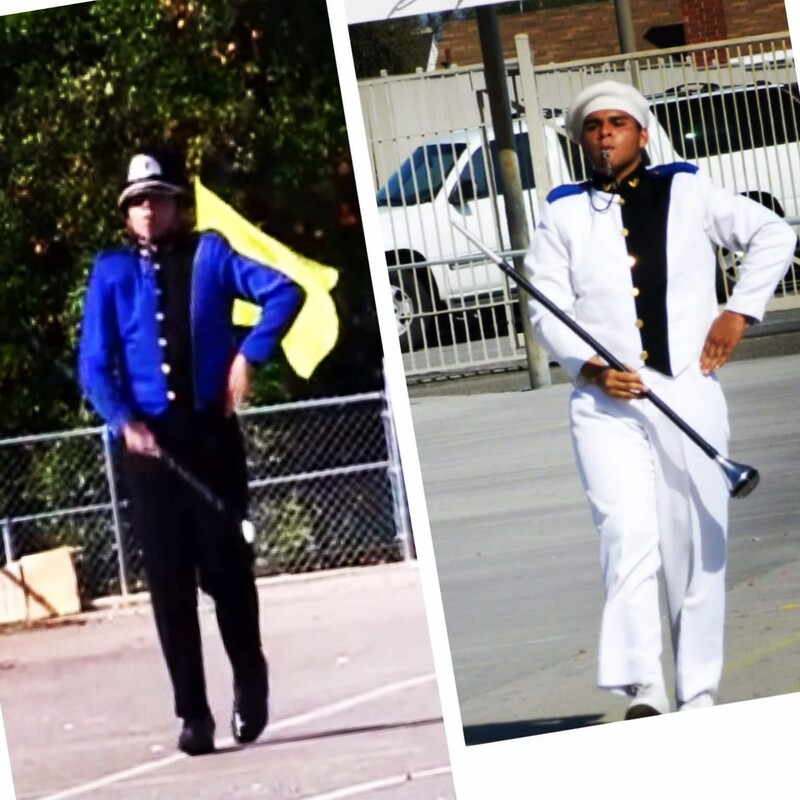 While progressing deeper into the marching arts Esteban never lost his passion or dedication to the drum major activity. He has served numerous drum major organizations in capacities such as: instructor, adjudicaor, steering committee member, Member of the Board of Directors, and previously Director of Scholastic Competitions at the World Drum Major Association. The vast knowledge and experience Esteban has to offer has made him the ideal candidate to head the American Drum Major Competitions circuit. Jonathan’s love for the marching arts began at a very early age when he attended his first field show competition at the age of 10, but it wasn’t until he attended high school where he started to take an interest in the world of the drum major arts. His Drum Major experience includes being the Assistant Drum Major for the Los Altos Entertainment Unit as well as being the Drum Major for the Pasadena City College Lancer Band and the Tournament of Roses Honor Band. His teaching experience includes being a visual instructor for high school marching bands as well as a visual instructor for the Pasadena City College Lancer Band and Tournament of Roses Honor Band. He has also done instruction in conducting to Drum Majors in the Southern California area. Currently, Jonathan is attending school looking to complete his B.A. in Music Education and hopes to become a band director himself one day. 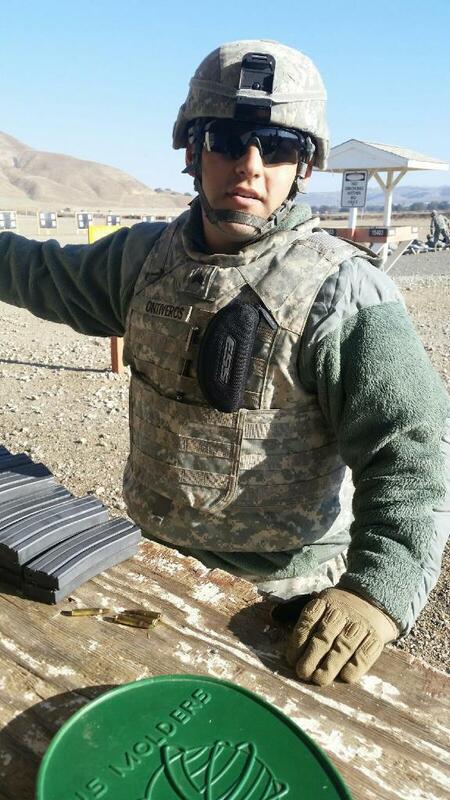 Sergeant Kevin Flores began his drum major career as a freshman at Montebello High School. Working his way through the ranks of the drum major program Kevin was ultimately selected to be the Senior Drum Major for the 2011-2012 school year. 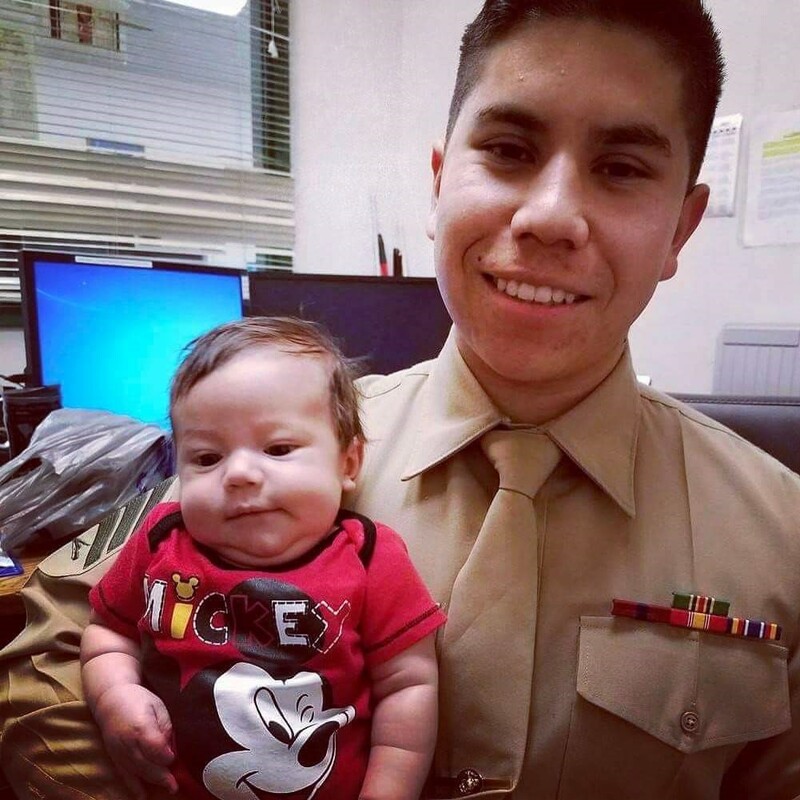 Once graduating from Montebello in 2012 Kevin decided to serve his country and enlisted in the United States Marine Corps. The leadership, work ethic, and self-discipline learned as a drum major is what Kevin attributes to his success in the Marine Corps and has led him to become a non-commissioned officer. Sgt. Flores is proud to be able to give back to a community that has given him so much, and to work side by side with many people who helped shape him into the person he is today. In the last ten years Lawrence Johnson has become a corner stone in the competitive drum major activity. His own success began in high school as a member of the Rancho Buena Vista High School Band. There he was introduced to the original Peacock’s American Drum Major Competitions circuit where he competed and successfully claimed the highest score recorded in the field conducting category. Upon his graduation Lawrence began to instruct in various aspects of the marching arts including marching band, drum corps, indoor drumline, and drum majoring. 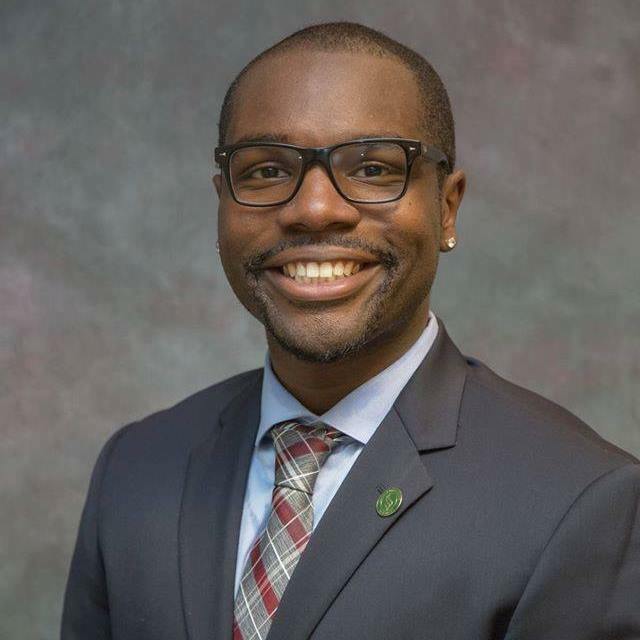 Lawrence has been involved with numerous drum major organizations through the years; His vast knowledge of the activity, along with his degree in journalism from California State University Long Beach, make him the perfect candidate to head up the conducting department as Chief Adjudicator. Paul’s drum major career began as a high school student at El Rancho High School in Pico Rivera, CA. There he was given the unique distinction of serving as the head drum major for two years. 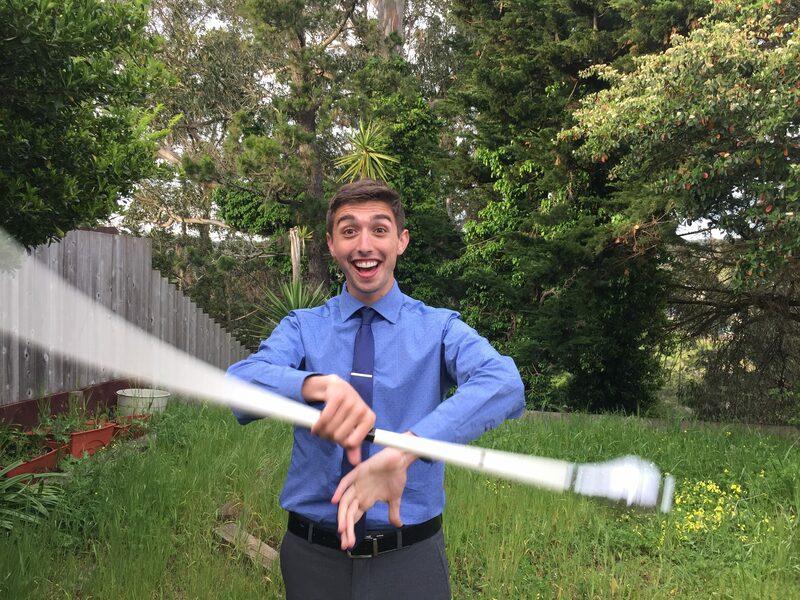 While the head of the program, Paul was able to claim numerous championships in the Mace division and helped to solidify El Rancho in the drum major activity. 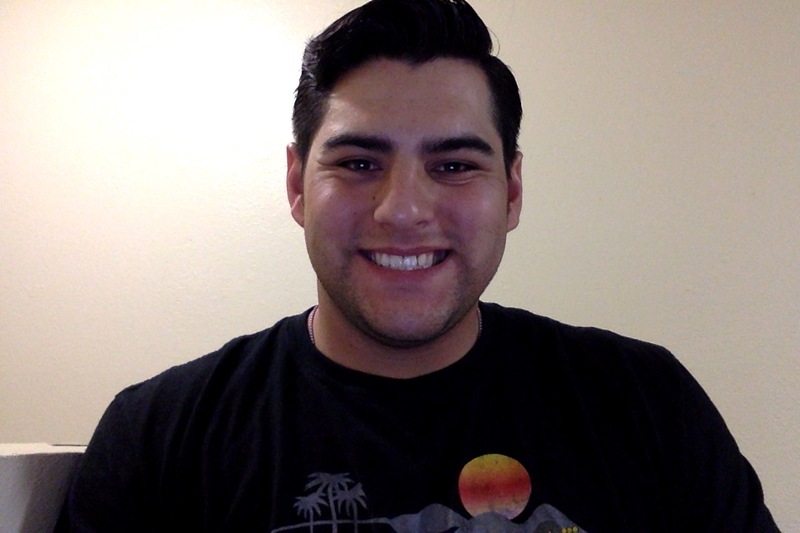 After graduating from El Rancho in 2012 he continued his studies at the University of California Irvine. While in college he continued to instruct and mentor aspiring drum majors in his surround area and eventually accepted judging positions at various drum major organizations. Paul is as thrilled to be a part of the team as Peacock’s American Drum Major Competitions are to have him. With a strong passion for training and development, it is no wonder why Gabriel Fuentes has found himself as Chief Adjudicator for the Parade department at American Drum Major Competitions. Gabriel’s own development started as a member of the Montebello High School Might Oiler Band, where he severed as drum major his senior year. Within his high school career Gabriel claimed over 65 awards and accolades for his expertise in the drum major activity. He also has the unique distinction of being the last drum major of Montebello’s legendary band director Larry Covellone. After leaving Montebello Gabriel continued to train and mentor several drum major students throughout the Southern California area. Gabriel’s understanding of leadership helped him to secure the position of Operations Stage Manager at the Disneyland Resort in Anaheim, CA where he works today. Overseeing dozens of Cast Members reminds Gabriel on a daily basis how much of his life was changed after becoming a drum major. 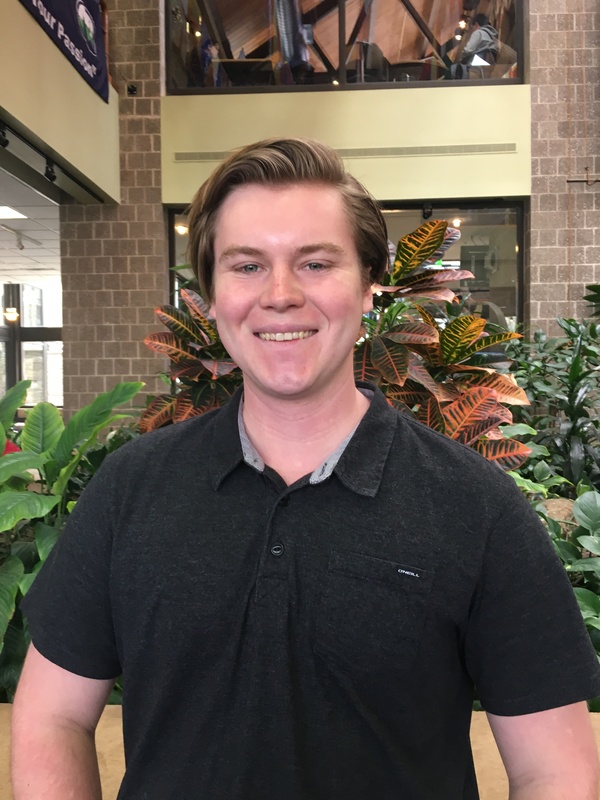 He is excited to be able to work again in the drum major activity and looks forward to being able to positively contribute to future generations of drum majors. Fascinated by the leadership aspect of his high school marching band, while inspired by his senior drum major, Luis Moreno, and instructor Esteban De Leon, Johnny Linares became part of his school’s drum major program where he grew an affinity for marching leadership. 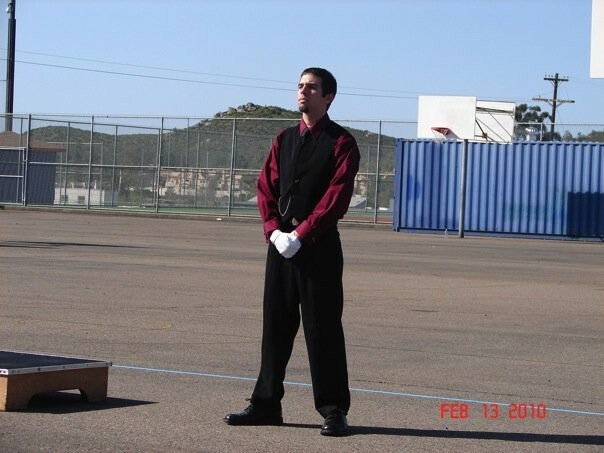 Later, Johnny became an independent competitor and often competed in regional drum major competitions through the end of his high school career. Johnny won numerous awards in the highest divisions in both military baton and mace including a “World Class Mace” division championship from the World Drum Major Association. Although widely considered a top-tier competitor Johnny was most known for his ability to befriend others and constantly devoted several hours to others instead of himself. Johnny is currently studies Physiological Science at the University of California, Los Angeles with ambitions of becoming a pediatric doctor. Johnny is an advocate for leadership, education, and individual growth for current competing students. His main objective is to advance and promote the art which molded him into the person he is today. A graduate from Temple City High School, Chris Pan has represented himself and his community as a drum major throughout the country. His drum major career launched when he joined the “Pride of Temple City” his freshman year of high school and quickly found himself involved in the drum major program. He studied as a drum major apprentice for one year before rising to the position of assistant drum major. His junior year of high school he was selected as the head drum major and served in that position for two years. Part of Chris’ responsibilities as a head drum major were to oversee and monitor the progress of the several aspiring drum majors in the program. He worked hand in hand with his instructors to ensure the development of future drum majors at Temple City and to help establish the Temple City name in the drum major community. Upon graduating from high school Chris began his studies at California State Polytechnic University in Pamona, CA. He also had the opportunity to tour the country as a DCI drum major for Impulse Drum and Bugle Corps. Chris’ experience as a drum major allowed him to help in Impulse’s successful return to DCI Open Class Championships in Michigan City, Indiana and ultimately DCI World Class Prelims at Lucas Oil Stadium in Indianapolis, Indiana. Chris looks forward to being able to spread his unique insight with aspiring drum majors hoping to pursue their passions just as he did. Jezreel Ontiveros has proven his drum major skills as a drum major for 3 years at Central Union High School located in El Centro, California, where he was an All-American Drum Major. He had the opportunity to march in the Mardi Gras parades in New Orleans, LA as well as the New Years Day Parade in London, England. He continues to show leadership through his fraternity Phi Mu Alpha, a music fraternity which object is to promote “the development of the best and truest fraternal spirit; the mutual welfare and brotherhood of musical students; the advancement of music in America and a loyalty to the Alma Mater.” Jezreel proudly serves as a Sergeant in the United States Army National Guard for over eight years as a military police man. He is a graduate from San Diego State University with a Bachelors degree in Anthropology and is currently a full time Archaeologist in the San Diego County. 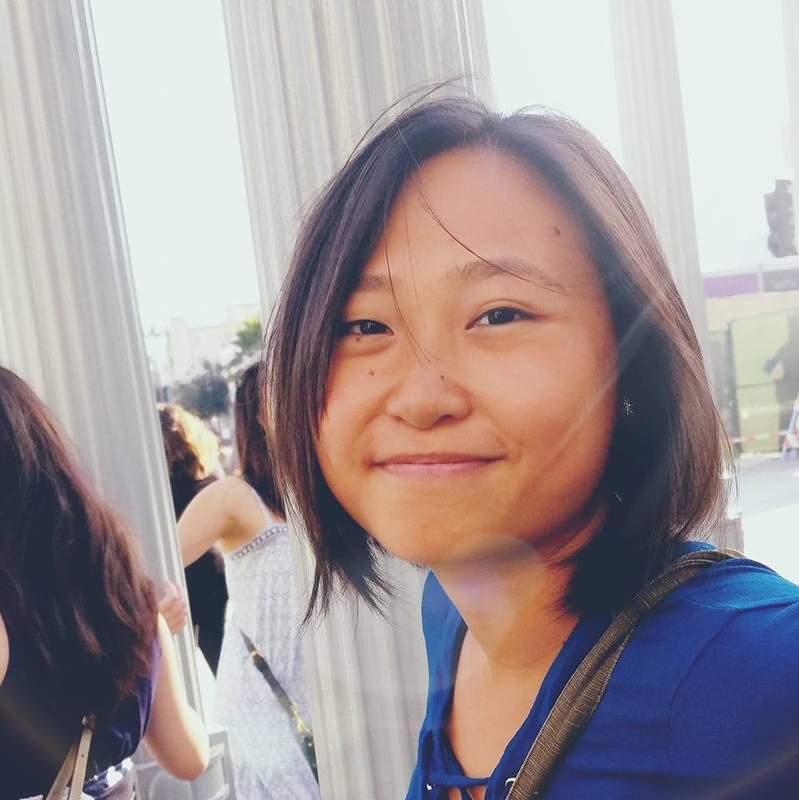 Trilina Mai is undergraduate student at Long Beach State University in Southern California, pursuing a Bachelor of Arts in Animation. 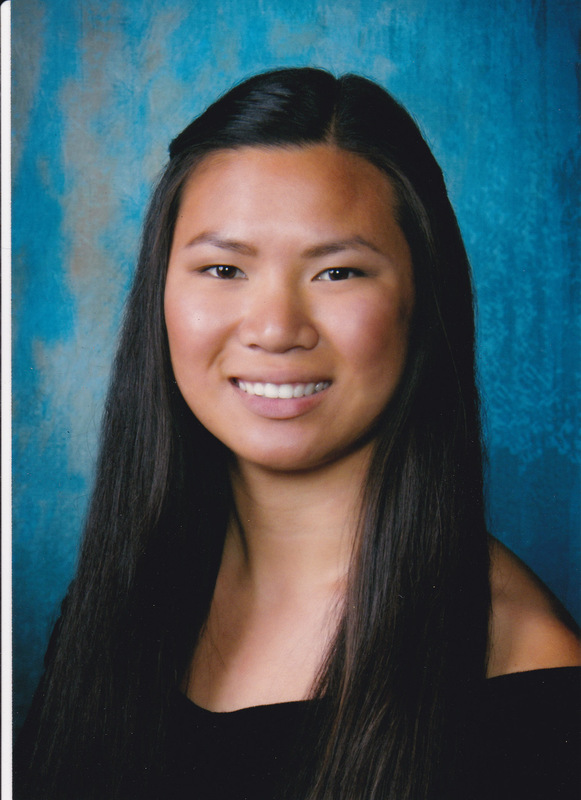 While a student at Cypress High School, Trilina honed her leadership skills in band, serving at various time as Trumpet Section Leader, Band President, and Drum Major. In her two years as Drum Major, she led the Centurion Imperial Brigade in both street and field events. As a parade drum major, she placed in SCSBOA adjudicated band reviews, and led her high school band in the Pasadena Tournament of Roses Parade. The United Spirit Association selected Trilina as an All-American drum major, giving her the opportunity to represent her band, school, city, and country in the London New Year’s Day Parade. Outside of drum majoring, Trilina is an award-winning aspiring artist, filmmaker, and private drum major coach. Located in Cypress, California, Trilina is currently collaborating with Against the Grain Productions in their latest documentary film. She is proud to continue the legacy that the United Spirit Association’s Drum Major and Band Leadership Program has been providing to students for over 65 summers. 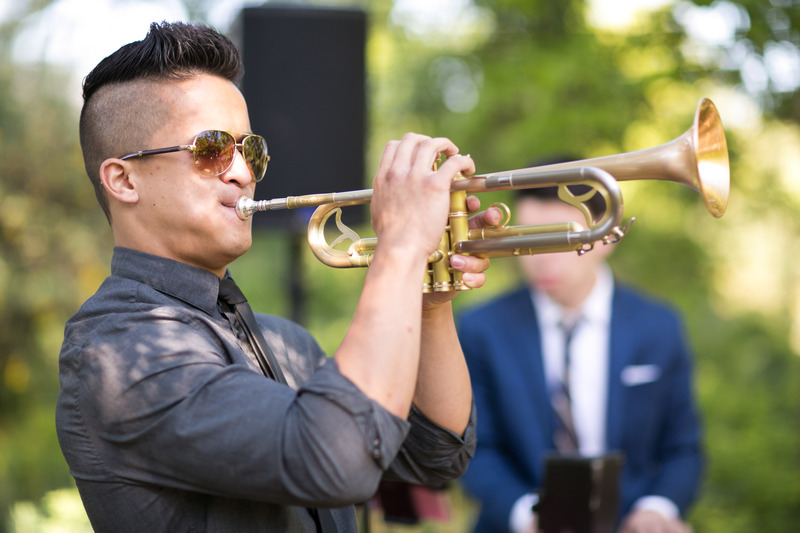 As a member of the respected UC Davis International Relations Program, Acey Blanco has proven to be a formidable force of excellence in the realm of both academics and drum majoring. During his time as a performing drum major, Acey was a Northern California Band Association Military Masters Champion. He remained undefeated throughout his 3-year career, consisting of 32 competitions all across California. Decorated with numerous other awards, Acey also traveled internationally to the People’s Republic of China where he performed and was recognized for his outstanding abilities, both as a technician and a leader by the People’s Liberation Army Band. Outside of the drum major world, Acey is a former executive for Macy’s Inc. where he led a million dollar sales department to become one of the top organizations on the West Coast. He has had the opportunity to work with thousands of student leaders through the United Spirit Association Drum Major and Band Leadership Program. Currently located in Sacramento, California, Acey is the United Spirit Association’s Drum Major and Band Leadership Program Manager. 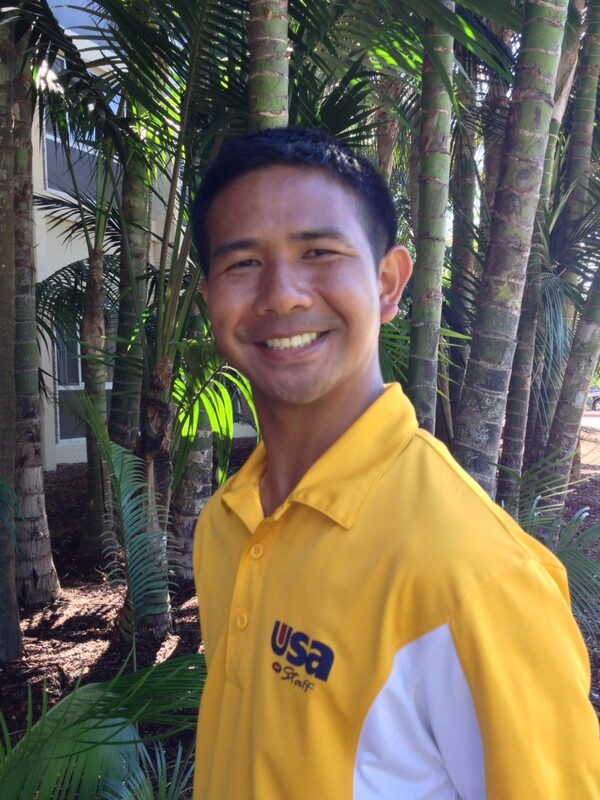 He will not only be continuing the legacy of one of the most successful Drum Major and Band Leadership programs on the West Coast, but he will also be carrying on the tradition of excellence USA has provided to its students for over 65 summers. Located in Central California, Rebecca Cartelli has developed an extensive leadership background as well as a reputable performance record throughout her six years of being a performing drum major. Competing within the Northern California Band Association Circuit, Rebecca maintained many of the top scores throughout her drum major career. Competing in over 20 competitions, Rebecca has created a formidable reputation for herself. Not only has she claimed many prestigious titles such as NCBA’s Drum Major Sweepstakes Winner at the respected Santa Cruz Band Review, but she has also had the opportunity to represent her band internationally at the London New Year’s Day Parade in London, England. 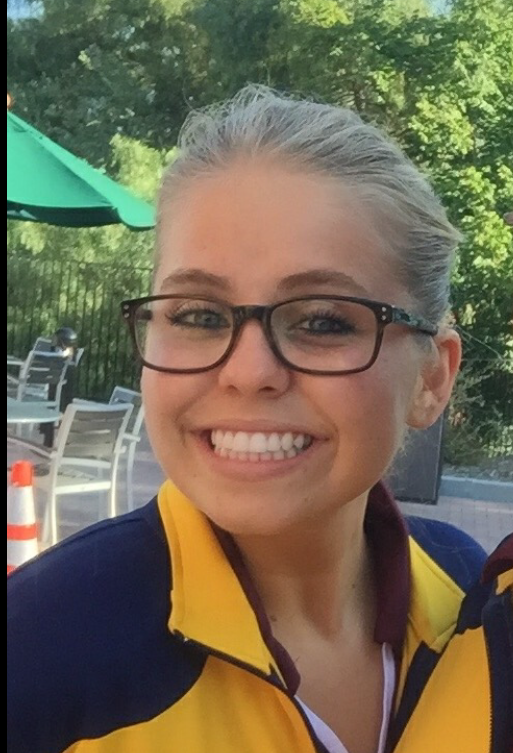 Now, as a private drum major instructor for many students around the Central California area, Rebecca utilizes her knowledge in order to create a superb set of student leaders that are not only equipped to serve their bands, but their communities as well. Marvin Reed resides in the Sacramento area. He holds a B.A. in Sociology and M.A. in Higher Education and Leadership Policies from California State University, Sacramento, where he was the Drum Major of the Hornet Marching Band. Marvin has worked with many prestigious Marching Band programs in the area (Granite Bay, Fairfield, John F. Kennedy, American Canyon, Elk Grove, Laguna Creek, California and Ponderosa HS.) He is also the Director and Head Judge of Drum Major activities for the Northern California Band Association. Marvin has been part of the Concord Blue Devils organization (Blue Devils ‘B’ and the Blue Devils “A” Corps). Marvin has also been the Drum Major coordinator for Blue Devils ‘B’ and the Sacramento Mandarins Drum and Bugle Corps. He is currently the assistant director and Drum Major Caption Head of the Sacramento Mandarins Academy. 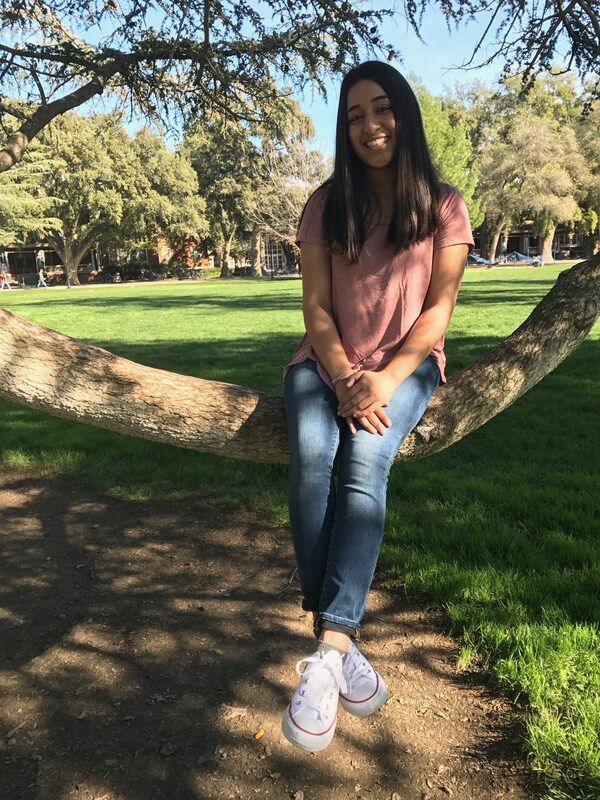 Currently located in Davis, California, Azeema Yahya attends UC Davis pursuing degrees in Sociology and English with a minor in Education. Her time as a performing drum major started with competing in solo drum major competitions for the Northern California Band Association in the Mace category. During her final year as drum major, she competed in field conducting. With experience competing in both spinning and conducting, she’s gained immense knowledge and love for both. 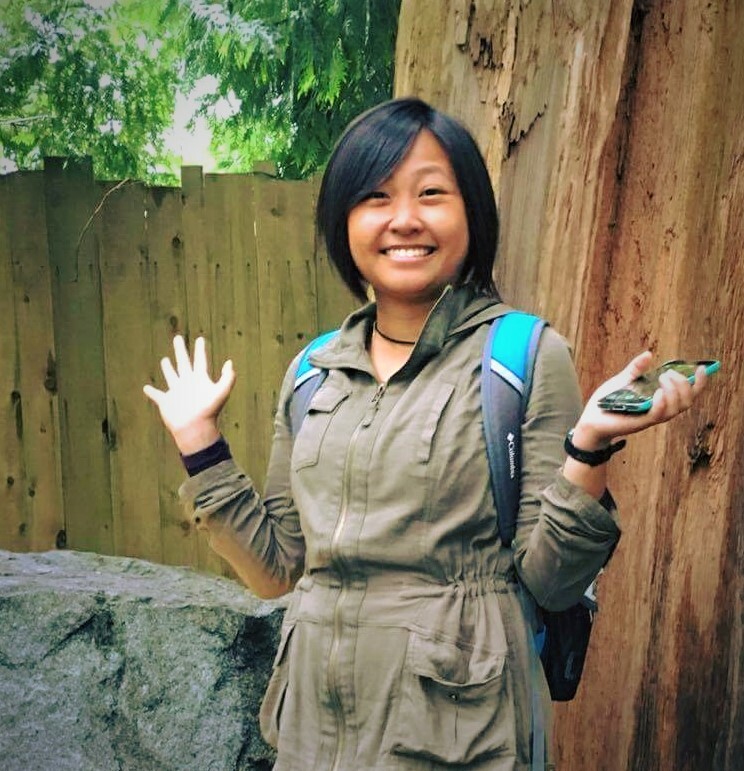 At Davis, she’s involved within campus clubs and organizations. She serves as the Chief Administrative Officer for her sorority where she strives to help the chapter reach its fullest potential. Currently she works for UC Davis’ Undergraduate Admissions Department as a Public Advisor. She’s helped over thousands of prospective and current students find their home at UC Davis. Azeema looks forward to continuing these endeavors. She can’t wait for this upcoming summer with the United Spirits Association! Darren Willett will be graduating with his degree in Instrumental Music Education and Trombone Performance from California State University, Fullerton’s School of Music. 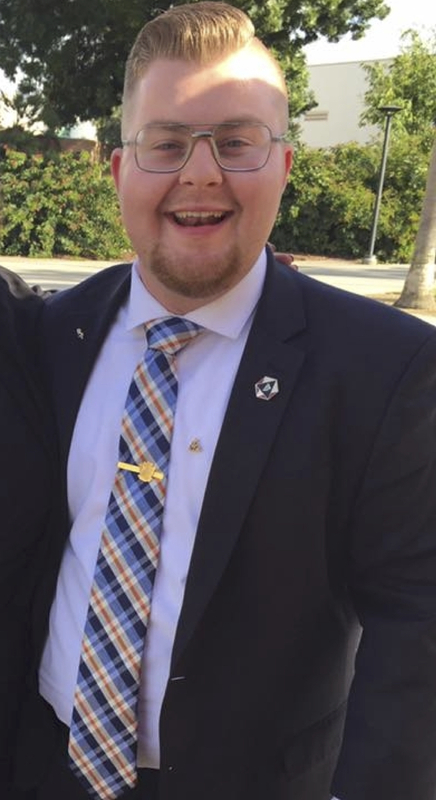 He is the Director of the Titan Varsity Band on CSUF’s campus, and was President of the Omicron Pi chapter of Phi Mu Alpha Sinfonia. Darren was drum major for three years at Canyon High School and has competed in both field shows and parades. 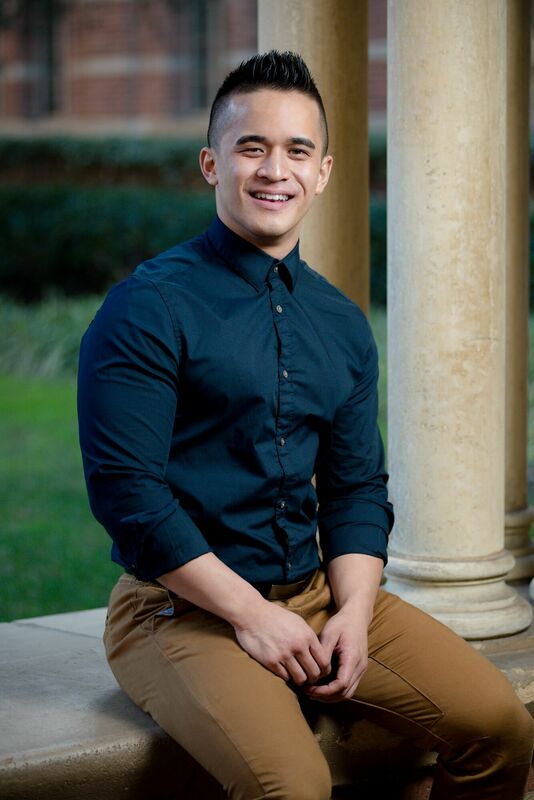 Darren is a twin, has traveled to China with the CSUF Wind Symphony, and loves to cook in his free time. He plans to get his Masters in Conducting, and strives to inspire future generations through music. During her three-year drum majoring career at Canyon High School, Sabrina has led her band through countless SCSBOA competitions and parades. Furthermore, Sabrina’s drum majoring career enabled her to act as an active member of the Gold Star Brigade’s leadership curriculum and current execution. As a recipient of her Alma Mater’s annual leadership award and medallion amongst several other technical awards, Sabrina holds her experiences and memories created at Canyon close to her heart and is thankful for those involved. 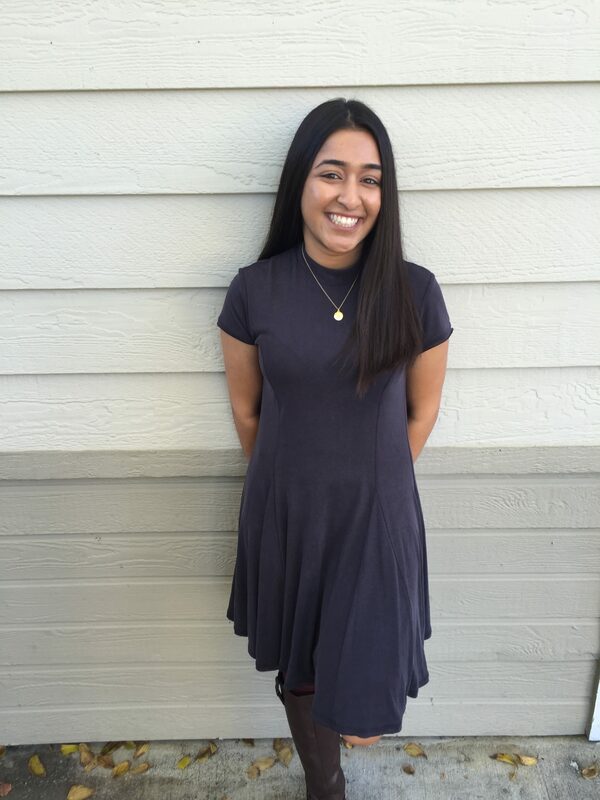 Currently attending San Diego State University, Sabrina is pursuing a double major in both neuropsychology and nutrition, with a minor in leadership. Outside of class and the drum major world, Sabrina is a member of the Marching Aztec’s cymbal line during the fall season, while performing as a cymbalist in a World Class WGI group during the spring. 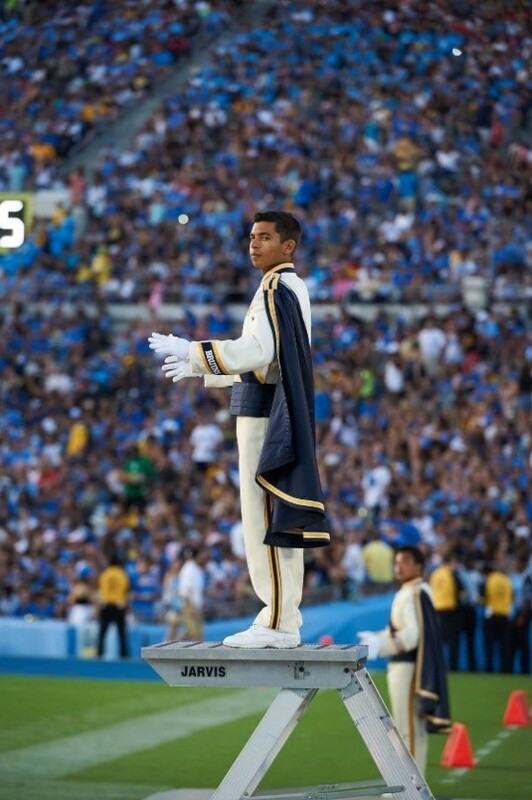 Thomas Gamboa is originally from San Diego, California and is a graduate of Rancho Bernardo High School, where he was the Drum Major for two years as a Military style drum major and a California State Champion in the Masters Division. He is a graduate of the University of California, Los Angeles (UCLA) where he received a Bachelors of Arts degree in Music Education and Music Performance on bassoon. He also has a Masters of Music degree in wind conducting from Northwestern University where he studied with Mallory Thompson. During his time at Northwestern University, he worked extensively with the Northwestern University Marching Band and conducted the Symphonic Wind Ensemble, Symphonic Band, Concert Band, and Brass Ensemble. Thomas Gamboa was a conductor for the United States Air Force Band where he held the rank of Captain. During his time as a conductor for the US Air Force Band, he performed throughout the United States, Europe, and in broadcasts reaching over 2.2 million audience members in over 174 countries. As an educator, Gamboa taught in the Los Angeles Unified School District at West Adams Preparatory High School in South Central, Los Angeles as the Instrumental Music Director and Music Department Chair. In the inaugural year of WAPHS, Gamboa created and conducted the Marching Band, Wind Ensemble, Chamber Orchestra, and Symphonic Orchestra during his tenure. 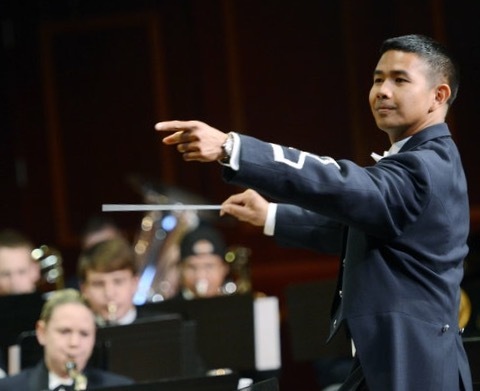 Gamboa was also an instructor for the National High School Music Institute in the areas of conducting and chamber music, in addition to his duties as Assistant Conductor for the NHSMI Wind Ensemble. 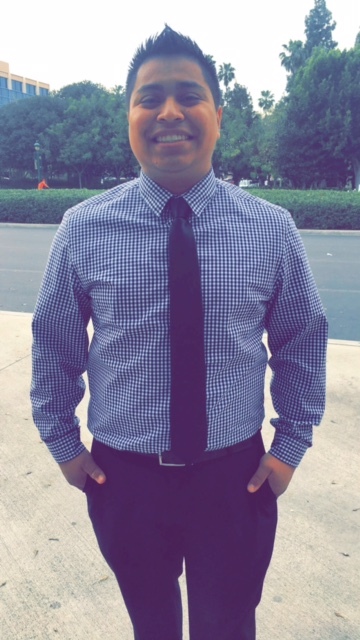 Thomas Gamboa is currently working on a Doctor of Musical Arts in wind conducting at the University of Michigan where he is studying with Michael Haithcock. At the University of Michigan, he teaches conducting to undergraduate music students, and works with the Symphony Band, Concert Band, and athletic bands, including the Michigan Marching Band. Jared is a graduate of the University of Oregon with a BS in Physiology and Biology. He also played clarinet in the Oregon Marching Band. 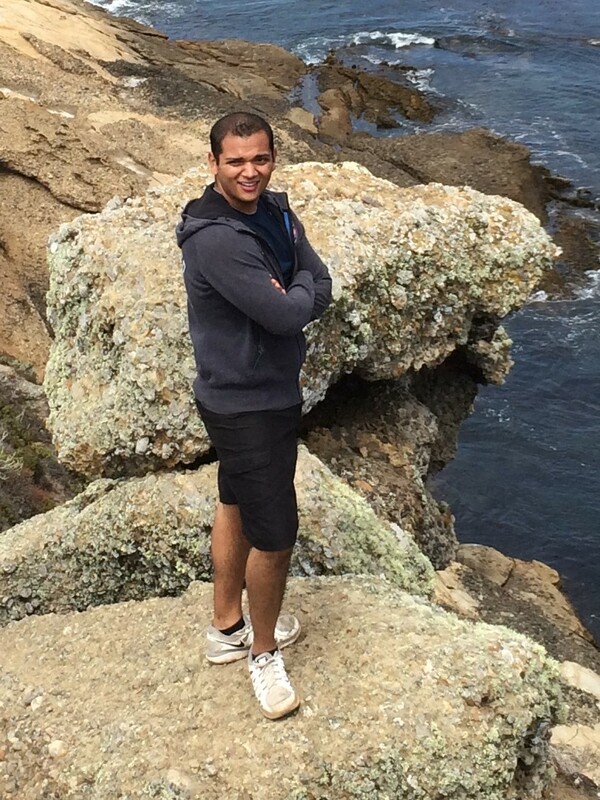 He is currently a graduate student at SFSU where he studies exercise physiology and plans on teaching Biology and Physiology at the high school level. Jared was a dual threat drum major as he was both a field conductor and mace spinner at Terra Nova High School. In addition, he was also the Northern California champion in both events. When Jared isn’t working with other drum majors or teaching in the classroom, you can find him on the track or in the hills as he is both the Terra Nova Track and Cross Country coach! 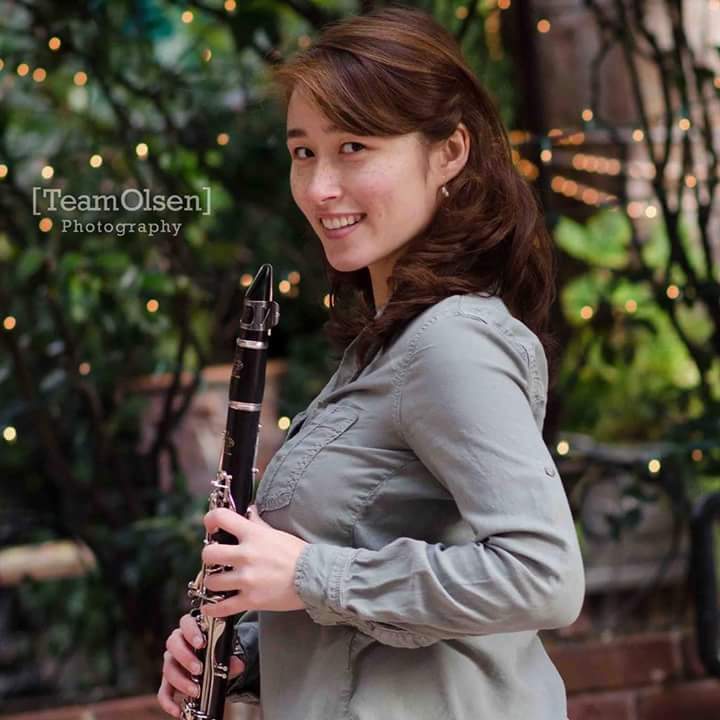 Susan Levine is a music major at CSU Sacramento, with a focus in Clarinet Performance and Music Education. She grew her musical life in the Roseville School District through local teachers Patty Wassum and Mark Toffelmier. Susan was the drum major of Roseville High School and has successfully led her band in many field show competitions. Susan also works for the United Spirit Association with other drum majors all over California. She is currently conducting in ensembles such as the Sacramento Youth Symphony. Susan specializes in woodwinds and piano. She teaches at multiple elementary schools in the Elk Grove and Sacramento areas, and clinics for the woodwind sections of several local high schools. As a performer, Susan plays in local pit orchestras for musicals, orchestras, and live music. Tony Rescigno’s drum major career began at USA camp where he began to train as a drum major, eventually becoming the drum major at Venice High School. After high school Tony attended Pasadena City College, where he was selected as drum major of the Lancer Marching Band in 2013 and lead the Pasadena City College Tournament of Roses Honor Band in the 2014 Tournament of Roses Parade. 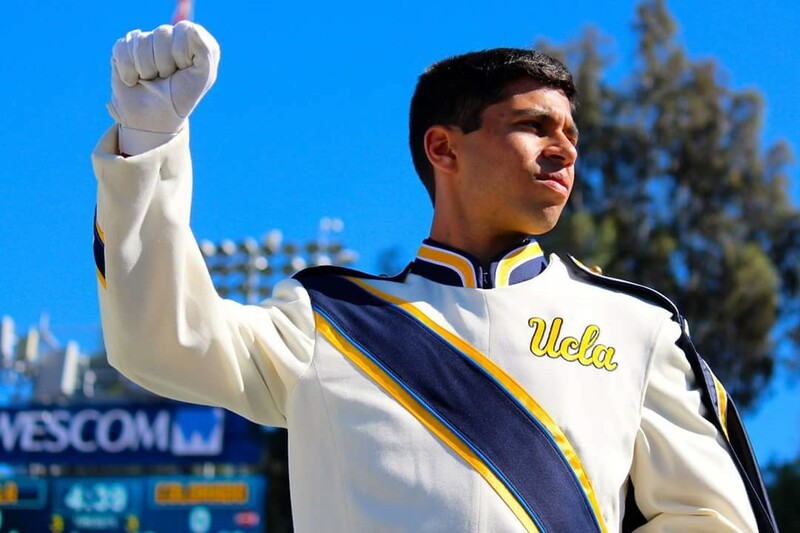 After successfully completing his studies at PCC Tony transferred to the University of California Los Angeles where he again was selected as drum major, this time for the UCLA Bruin Marching Band. In addition to his extensive drum major experiences Tony was also a member of Pacific Crest Drum and Bugle Corps for the 2016 season and was able to study trumpet performance under Wayne Bergeron. Today Tony has graduated from UCLA with a B.A. in Musicology. 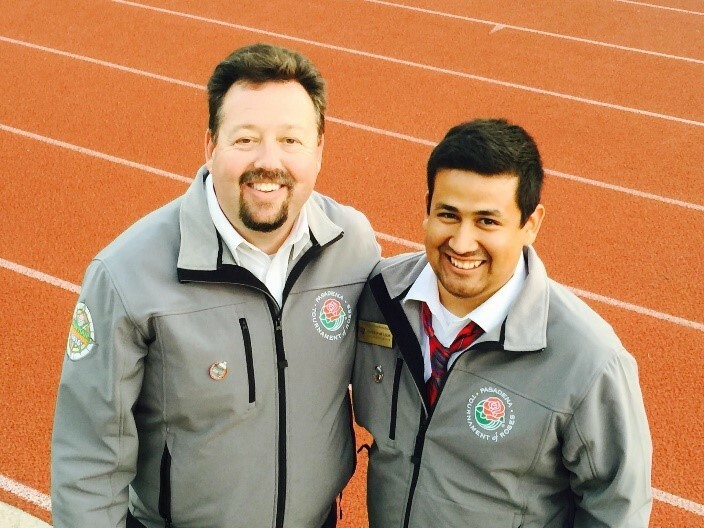 He continues to be committed to the marching arts and serves on visual staffs in the Southern California area. Tony is a dedicated musician always eager to train students interested in becoming marching band members and leaders. He is honored to stand alongside with a motivated and strong driven staff. Douglas Lue graduated from Garden Grove High School were he served the title as a Drum Major for 3 Years. Currently Studying Music Education and Clarinet Performance at Irvine Valley College. He has coached at several High Schools in Orange County/Southern California as a Marching/Visual Coach, Woodwind/Brass Coach, Drum Major Coach. He currently teaches Brass and Woodwinds Privately at the Tustin Music School. He has performed at various Drum Major Circuits, where he has received several 1st Places and has been able to pass on the same accomplishments to several students he has coached the Drum Major arts to.